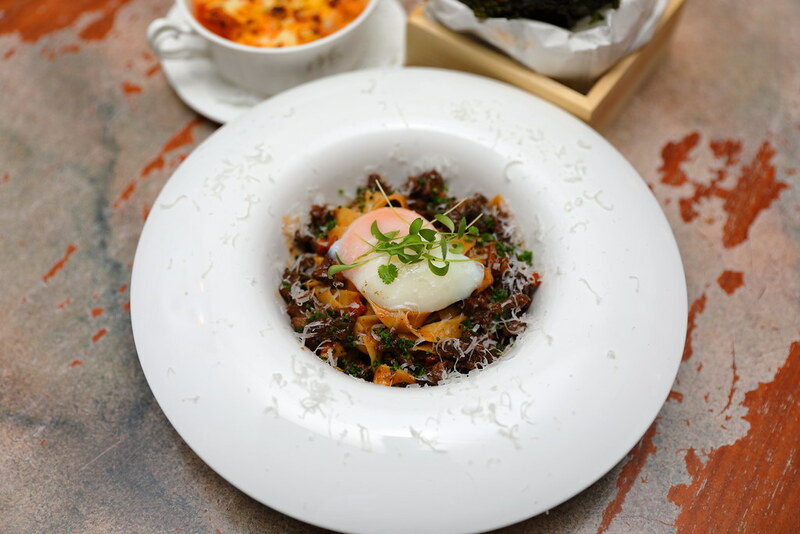 The ever-inspired Chef Pang of Antoinette has unveiled a new menu, introducing a number of new savory and brunch dishes. Together with the new menu launched, it has also introduced a number of new cocktails to complement the its extensive tea pairing. Some of these new cocktails are Pretty Pink ($16), Prescription ($14), Huat Ah! ($18) and Blue Romance ($12). The eye catching drink probably is the Prescription which comes with a pill sachet which contains grass jelly cubes. 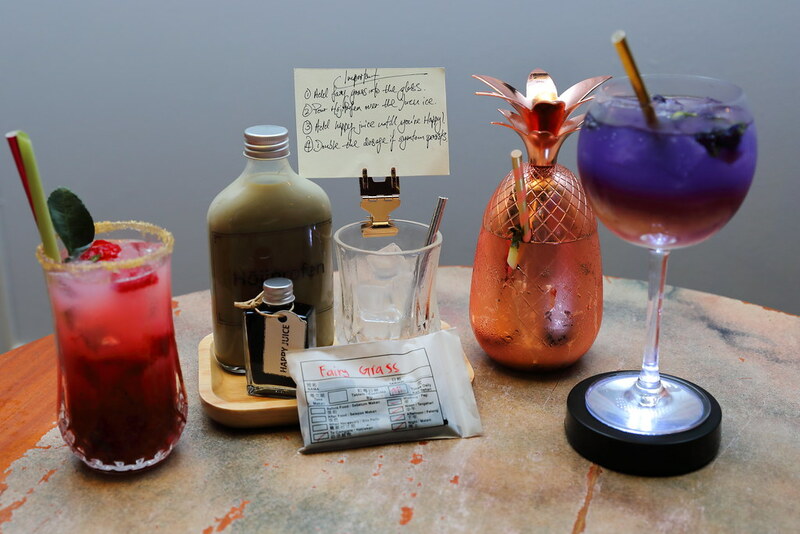 This is a playful drink whereby the guests get to play doctor and mix the houjicha latte, okinawan black sugar syrup, yuzu ice cubes and fairy grass together to concoct their own medicine drink. 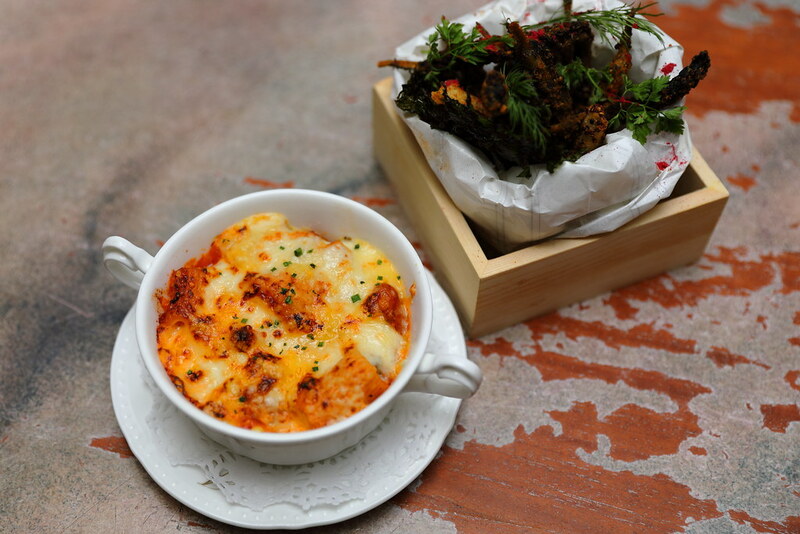 For some light starters, there are the Baked Rigatoni ($8) and Black Bait ($12). The baked rigatoni pasta is satueed in tomato cream sauce, topped with a golden brown crust of gruyere cheese and emmental cheese. This is an all-day comforting dish. As for the black bait, it is a very addictive snack. The morsels of fish is dusted with homemade spice seasonings which consists of onion powder, garlic powder, paprika, salt and pepper with a sprinkle of raspberry powder. 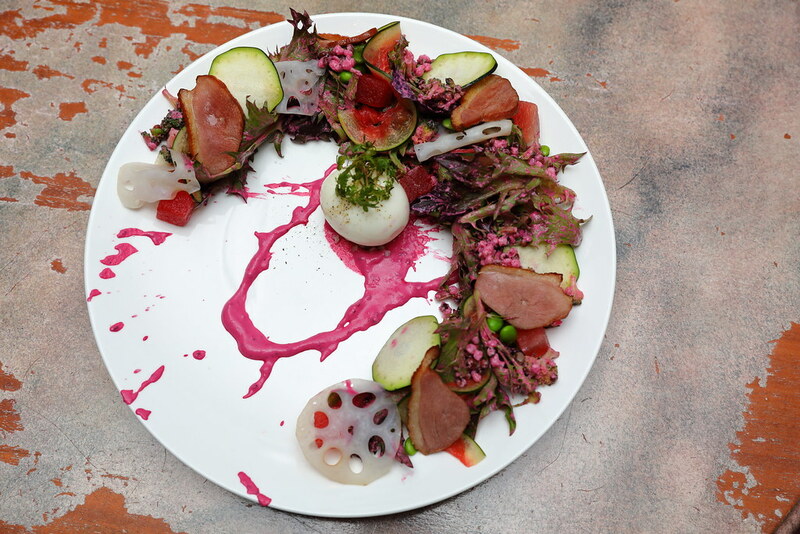 The interplay of color for the Watermelon & Smoked Duck Salad ($24) definitely stands out. It looks like a garden in autumn except that it is on the plate. Two components on the plate stood out for me. The beautiful tender smoked duck and pickled watermelon cubes which has a refreshing acidity to the dish. The pasta for the Wagyu Beef Tagliatelle ($26) is made in house using whole wheat. The delightful bite of the pasta is complemented by the delicious ragout which has been cooked with red wine, herbs and wagyu beef. It also comes with an onsen egg and grated parmesan cheese. Inspired by the local prawn noodles is the Double Prawn Linguine ($26). 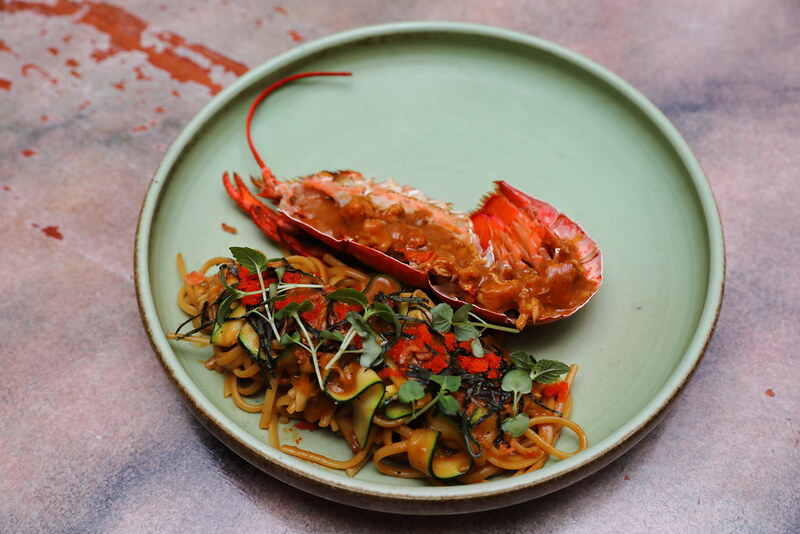 It has a rich umani-spicy note from the prawn bisque and spicy shrimp paste, that is well coated around the ribbons of linguine. The dish is then finished with zucchini strips, ebiko, sakura ebi, nori and shiso cress for flavours as well as textures. 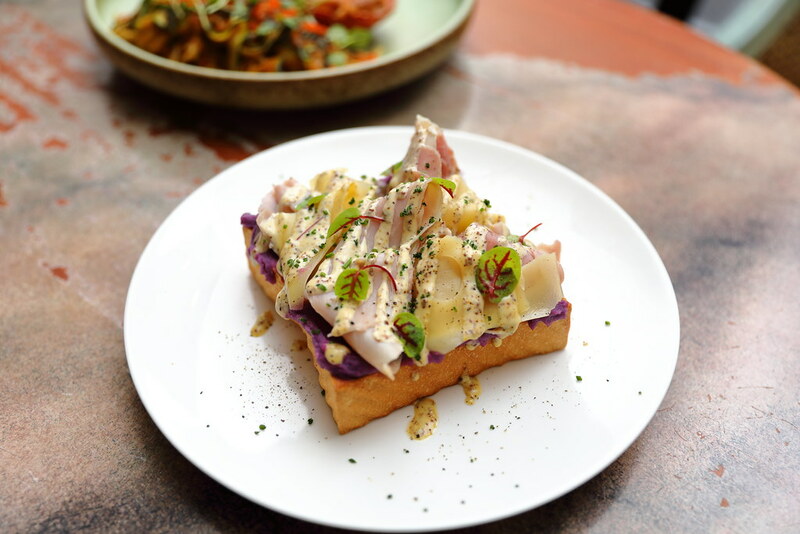 Toast lover will rejoice to know that Antoinette has added 4 savoury and 2 sweet Toast to their new menu. For savoury there are Smoked Salmon, Kurobuta Ham & Cheese, Wild Mushrooms and Avocado Mash. If you have a sweet tooth, there are Banana and Strawberry. We tried both the Kurobuta Ham & Cheese Toast ($14) and Banana Toast ($12). The bread of the Kurobuta Ham & Cheese Toast is brushed with butter before being toasted to a nice crispy crust on the exterior while retaining a soft texture inside. It is then spread with a layer of sweet potato mash, followed with topping of kurobuta ham and emmental cheese. 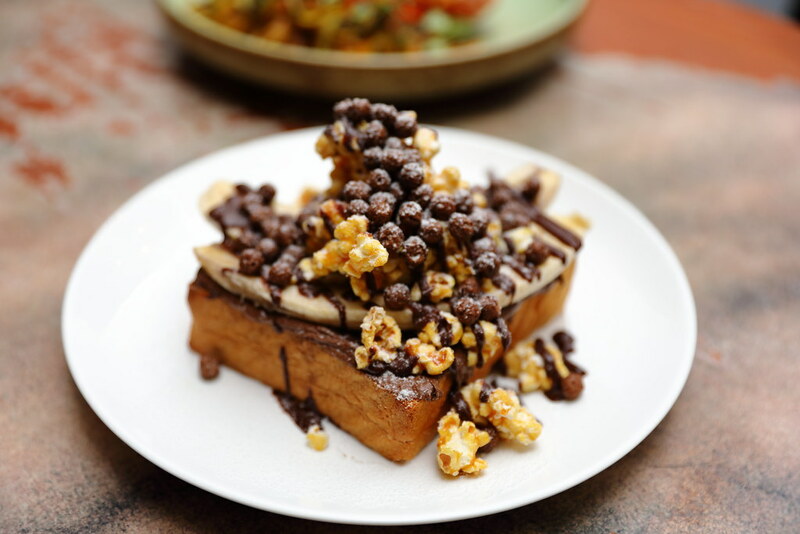 As for the sweet Banana Toast, it comes with salted butter, nutella, fresh banana, caramel popcorn, coco pops and drizzled with chocolate sauce. 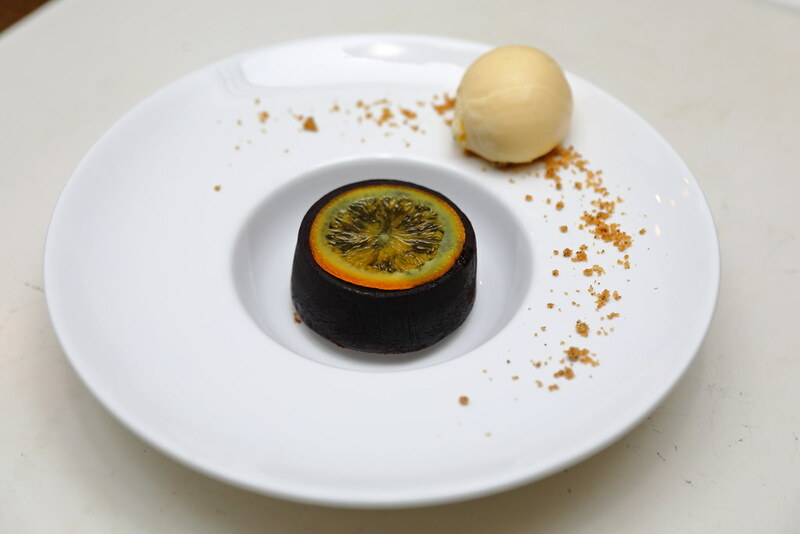 The Fondant au Chocolat ($14) is a warm chocolate cake, served with cold brewed coffee ice cream with orange confit. The combination of warm and cold, with the richness of the chocolate cake will satisfy anyone with a sweet tooth. 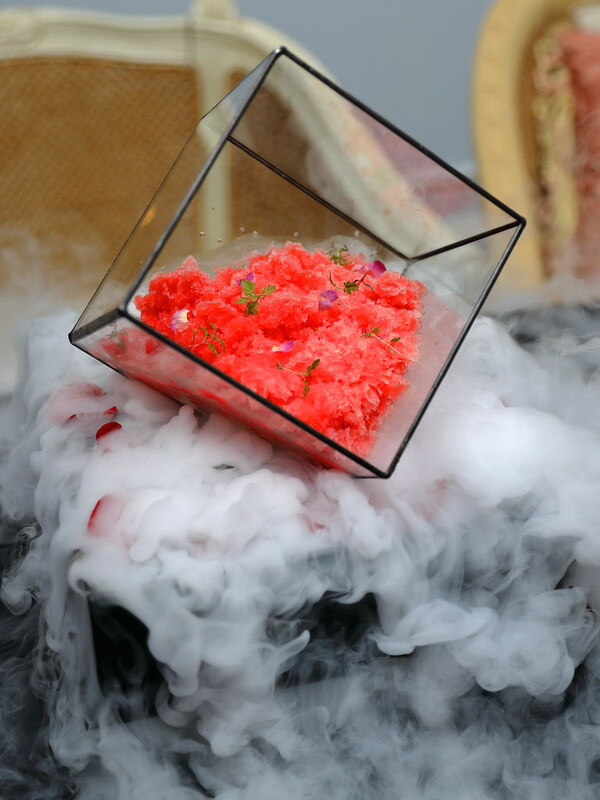 Making a spectacular entrance is the Watermelon Kakigori ($20) which is appealing to both taste and presentation. The refreshing watermelon comes in cubes as well as shaved ice. 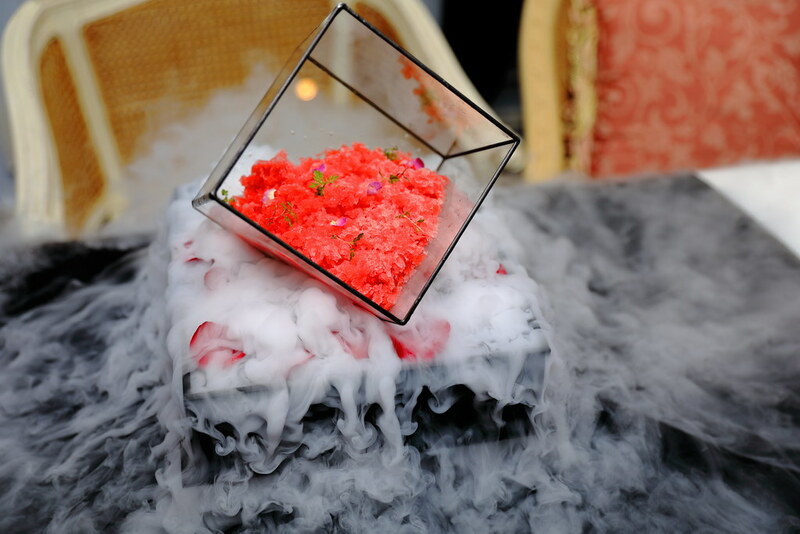 Hidden underneath the shaved ice is earl grey chiffon cake layered with yuzu cream, fresh strawberries, rose petal foam and almond crumble. Perfect for sharing and ending your meal on a sweet finale.